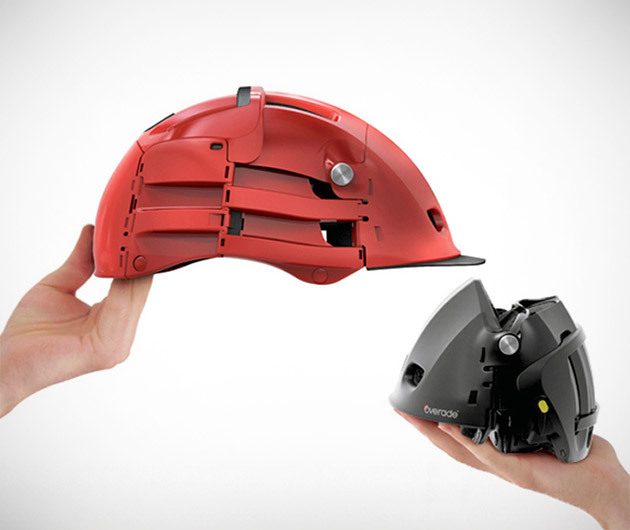 Not only tough, lightweight and comfortable, but space-saving too, the Overade Folding Helmet is an ingenious idea from France. We have more than enough to carry around with us nowadays and few things are more cumbersome than a cycling helmet but this one folds in on itself three times to a size that will fit in the palm of your hand. It's available in three colors and with optional visor and protective cover.